U.S. Sen. Ted Cruz of Texas raised over $2 million for his re-election campaign and its allied groups in the third quarter, his team announced Wednesday, more than his Democrat U.S. Rep. Beto O'Rourke who is vying to unseat him. After getting outraised by his Democratic opponent earlier this year, U.S. Sen. Ted Cruz of Texas appears to have regained fundraising momentum from U.S. Rep. Beto O'Rourke of El Paso. 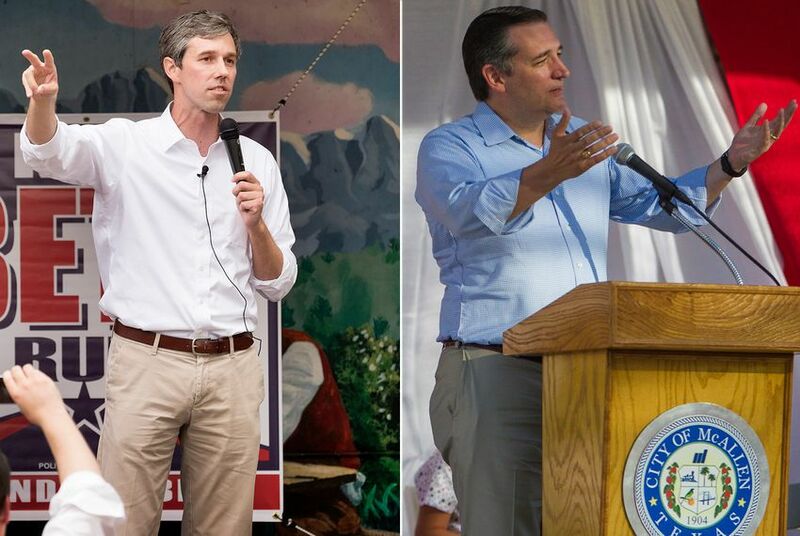 In the third quarter, Cruz raised over $2 million for his re-election campaign and its allied groups, his team announced Wednesday, shortly after O'Rourke's campaign unveiled his haul for the three-month period: $1.7 million. The numbers represent a turnaround for Cruz, who raised less than O'Rourke did during the second quarter — a disparity that gave the challenger a boost of momentum as he got his campaign off the ground earlier this year. Cruz still maintains a strong cash-on-hand advantage over O'Rourke, $6.38 million to the congressman's $2.8 million. The campaigns made their fundraising totals and cash-on-hand figures available ahead of a Sunday deadline to report them to the Federal Election Commission. In tallying Cruz's numbers, his team takes into account three groups: Ted Cruz for Senate, a re-election campaign committee; the Jobs, Freedom, and Security PAC, a leadership PAC; and Ted Cruz Victory Committee, a joint fundraising committee that sends contributions to the re-election campaign and his leadership PAC. O'Rourke's campaign touted that it received roughly 7,000 more individual donations during the third quarter than Cruz did — 32,969 to Cruz's 25,977. O'Rourke's team also noted that he continued to reject PAC money over the period, "unlike nearly every single other campaign in the country."